Today we are delighted to welcome to the blog award-winner Fantasy novelist Tim Powers. 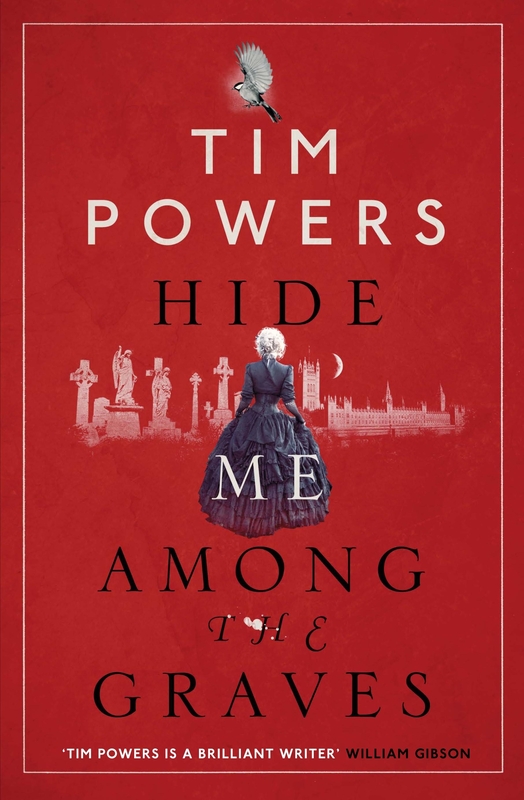 Author of The Anubis Gates, On Stranger Tides, The Stress of Her Regard, Declare among others, Mr Powers is here today to chat about his new book, Hide Me Among the Graves. Ladies and gents, please give it up for Tim Powers. The Book Smugglers: Hide Me Among the Graves is your new book and a sequel to your award-winning 1989 novel, The Stress of Her Regard. How does it feel to return to that same world after 23 years? Tim Powers: Well, forty or fifty years had passed in that world by the time I got back to it! The only character from the previous book who was still alive was Trelawny, and he was pretty old! So the world had changed a good deal during the years I was away from it. Victorian attitudes about propriety had settled in firmly, and people like Byron and Shelley would have had an even harder time than they did, in getting along in society! The Book Smugglers: Both books are fantastical novels with strong horror elements, and both are deeply rooted in historical events and the lives of real people. How do you manage to combine the magical with the real without making the connection seem forced? Tim Powers: I try to derive the magical element from the actual historical events; I don’t decide to write a vampire story, for example, and set it in a particular time-period — I do it the other way around, I decide on the time-period and then read lots of biographies and letters and journals looking for clues to what sort of supernatural element might be present; what’s “logically” indicated! So when I wanted to set a book among Caribbean pirates in the 18th century, for instance, voodoo and the Fountain of Youth were strongly implied, and when I had one that involved Bedouins and the Arabian desert, genies and the stories from the Thousand Nights and One Night were a logical magic system to pursue. And with The Stress of Her Regard and Hide Me Among the Graves, the obsessions and poetry of the people involved led me to ghosts and vampires! After all, Dante Gabriel Rossetti really did dig up his wife to retrieve something from her coffin, and Edward Trelawny really did give William Rossetti a piece of Shelley’s jawbone — after which William really was able to have children who were born alive or survived infancy! I like to think that if I link my supernatural element to the actions of real historical characters — especially otherwise-inexplicable actions! — the magical stuff will seem like a logical part of the story. The Book Smugglers:The Stress of Her Regard features romantic poets Byron and Shelley as main characters. In Hide Me Among the Graves, you move this focus to the Rossetti family and its circle of friends. Why did you choose to focus on these groups of artists and writers? Tim Powers: It started when I read about Dante Gabriel Rossetti digging up his wife’s coffin and taking out his poetry manuscripts. My first thought was, Oh yeah? Why did he really dig her up? The poetry was obviously just an excuse — he must have wanted to get something else out, or put something else in. So I read very extensively about him and his family and friends, and discovered that his maternal uncle was John Polidori. Hm! And Trelawny gave William that piece of Shelley’s jawbone, after which William could have healthy children. Hm! And then there were lots of bits of Dante Gabriel’s poetry, and his sister Christina’s poetry, that seemed (from a polarized paranoid perspective) to indicate acquaintance with vampiric ghosts. And of course it gave me a chance to finally set a book in Victorian London! The Book Smugglers: In these stories you introduce a different kind of vampire – part ghost, part succubus/incubus, part muse, and dedicated lover – brilliantly exploring the attraction and the repulsion such creatures can engender. Are you a fan of vampire stories? Do you have any favourites? 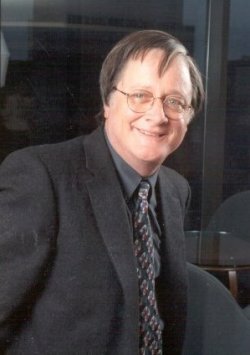 Tim Powers: Among my favorites would be Bram Stoker’s Dracula, which really is a terrifying story, and Carl Jacobi’s “Revelations in Black”, and George R.R. 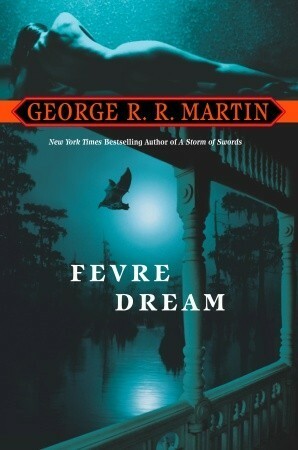 Martin’s Fevre Dream, though Martin’s vampire is a bit more human and sympathetic than I see vampires as being. I’m fascinated by the ways in which vampires are not human, and can’t be related to on human levels. I see them as using things like logic and language only occasionally and with some special effort. Their “logic” and perspective are comprehensible to us only partly, and only in images — and so they do inspire poetry in their chosen hosts! The Book Smugglers: Let’s take the ideas of “muse” and “inspiration” a little further. Within these books, the connection and association with vampires made poets’ writings better than they ever could have been without vampiric inspiration. How do you see this merging of “natural talent” and “foreign inspiration”? Do you regard the source of inspiration as a theme in these novels? Tim Powers: In these two books, the poets do need the “anti-divine” spark to write their really sublime work. 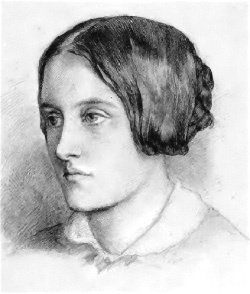 On their own they produce stuff like the later poems of Christina Rossetti and Swinburne — that is, competent but lacking the old fire. It’s unfair of me, really, to say that they needed special outside help to do their best work, but that’s fictional license, I guess. I don’t think this applies in any way beyond the concerns of the novels, though — I don’t think great poetry really does get its inspiration from some outside supernatural force! The Book Smugglers: Meticulous attention to historical detail is present in both of your novels, and one has to wonder how you keep track of all the facts. In a world where fine-tuned editing is growing increasingly rare, how do you manage all the fact-checking necessary to a novel of this depth? Tim Powers: I read extensively, of course — I devour every biography, collection of letters and journals, contemporary travel guide and railway schedule and street map I can get my hands on — and I make long, specialized indexes on the flyleaves of every book, and I put together big Word files in which I collect and coordinate it all, with lots of cross-referencing! And I make big calendars, with the events written into every day-square, along with relevant references. All this takes a while, of course, but in the end, ideally, I always know what’s coming next, and I’m able to go right to the page-number or Word file entry I need as I write. The Book Smugglers: Hide Me Among the Graves is, simply put, a fun, atmospheric historical fantasy novel. Are there any similar works that you’d like to recommend to our readers? Tim Powers: Keith Roberts’ Pavane is a terrific book, though it’s an alternate history set in a modern but pre-industrial England, rather than orthodox history. Fritz Leiber’s novella “Adept’s Gambit” is a great magical story set in (I think) 1st century Alexandria. And of course there’s White’s The Once and Future King! And I’d also strongly recommend G. K. Chesterton’s long poem “Lepanto,” about the 16th century sea-battle between the allied Christian forces of Europe and the Ottoman Empire. The Book Smugglers: What are you working on at the moment? Do you have anything in the pipeline? Tim Powers: Well I’m still in the research phase, so I’m not sure what this will be, exactly — but it looks like involving Los Angeles in the 20th and/or 21st century. And of course I’m already finding lots of clues to the supernatural element! You can read more about Tim Powers on his website and on Facebook. I cheer every time Powers has a new book out, I’ve been a fan since Last Call and The Anubis Gates. I love how he takes historical events that actually happens, and focuses on the few missing or questionable facts to turn them into something wonderfully creepy and disturbing. THanks for doing such an extensive interview with one of my favorite authors! “The Adventures Of Luther Arkwright” by Bryan Talbolt. Also of note is “SS GB” by Len Deighton. 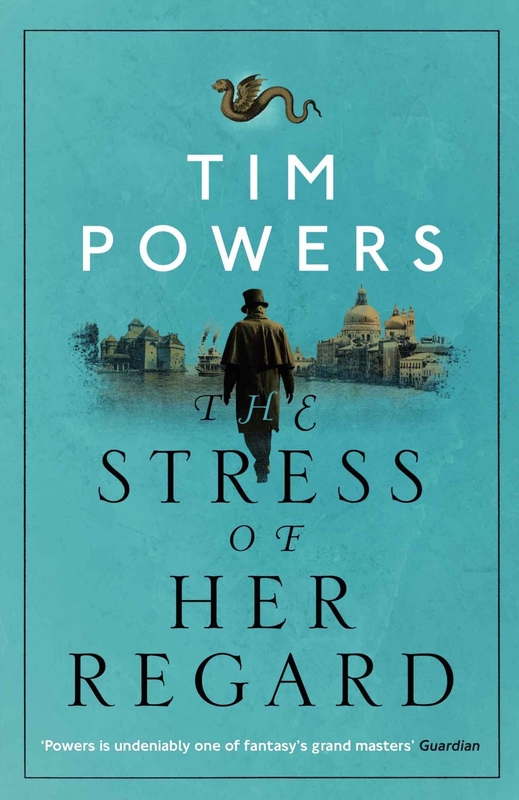 New Deal For Tim Powers… | Zeno Agency Ltd.
Heya! I know this is sort of off-topic however I had to ask. Does managing a well-established blog such as yours require a massive amount work? I am brand new to running a blog but I do write in my diary daily. I’d like to start a blog so I can easily share my own experience and views online. Please let me know if you have any suggestions or tips for brand new aspiring blog owners. Appreciate it!